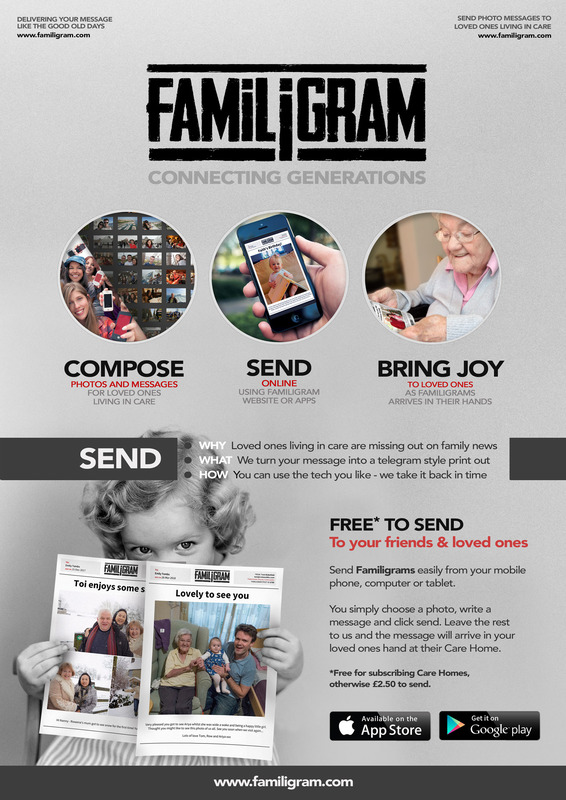 Familigram is a simple yet wonderful service that allows family and friends to send photo message style telegrams to their loved ones living in Care Homes. By using our website or apps the 'techie' generation can use their beloved phones and the internet to simply post photo messages to their Gran and Gramp, at their Care Home. We then transform that message into an easy to read, familiar and much loved printed Familigram that is put in the hands of their loved one. 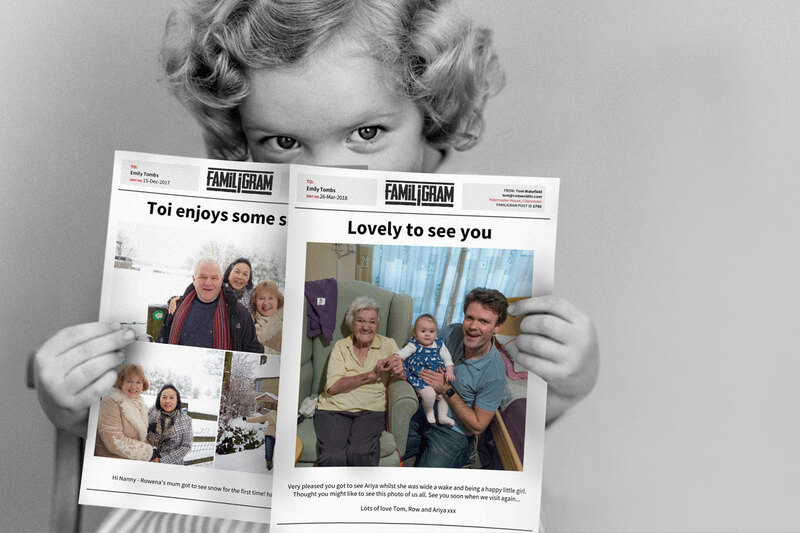 With our most popular SILVER package - for just £10 per month you can register your Care Home for Familigram. This allows friends and family to send Familigrams to your Care Home FREE of charge. You will then receive access to view the Familigrams and be emailed with easy to print PDF files. If printing the Familigrams is something you don't wish to do yourselves you can still offer Familigram FREE to family by having us print them for you. We call this the GOLD package. We print and post submitted Familigrams on a package to your home on a Wednesday each week.